I'm not an Urban Fantasy reader, but I am obsessed with black-eyed kids. Black-eyed kid stories are among my most favorite creepy stories ever. I knew this series would be a must read for me. Felix Renn is a private investigator in a supernatural world, an alternate reality where a dark dimension called The Black Lands co-exists alongside our own. Travelling to and from The Black Lands is dangerous - and illegal - but that doesn't stop some of the creatures that reside there from crossing over into our world from time to time. After a man goes berserk in a posh Toronto restaurant, Felix suddenly finds himself torn between both worlds as he is drawn into a deadly game of movies, murder, and monsters. I'll admit I was a little nervous about reading Temporary Monsters. I'm like a coffee drinker who only takes her coffee black. I like my vampires one way. I needn't have worried, though. Temporary Monsters had something special to offer. I wasn't actually planning to read Temporary Monsters yet when I first started reading it. I was just planning to open the cover and check it out a little, but I couldn't stop once I started. I got hooked and wound up appreciating the origins of Ian Roger's monsters. 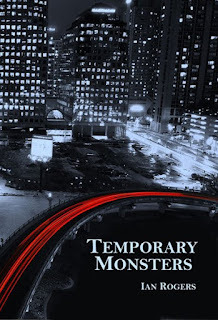 If you're an Urban Fantasy fan, I'm sure you will dig Temporary Monsters. It has some pretty unique happenings surrounding the vamps and weres and ...more. I can't wait to find out more about The Black Lands and the people who have access to it. If you've been wanting to try Urban Fantasy, I can tell you from experience this is a great place to start. 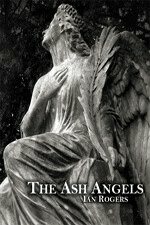 I'm trying not to crack the cover on The Ash Angels yet in case I can't put it down either. Are you a fan of Urban Fantasy? What would you recommend to beginner UF readers like me? I've read all three Felix Renn chapbooks and they're superb. They build off each other and Felix becomes more and more interesting. I'm itching for a Blacklands novel. Ron - I thought it would appeal to Dresden fans, but I still haven't read any of them. You are the one who has me wanting to try them on audio! Ashley - I love the covers. I about died when I saw Black Eyed Kids. Steve - I'm looking forward to reading the other two. I know I'll be itching for that novel, too, once I'm done.